Katie Tysinger is a rising 3L student at Campbell Law, and recently joined the Office of the Juvenile Defender as a summer intern. Originally from Cary NC, Katie attended the University of South Carolina (Go Gamecocks! ), where she earned a bachelor’s degree in Experimental Psychology. Upon graduating, she made the decision to return to the Raleigh area and attend Campbell Law to pursue a career in juvenile justice. Katie’s specific interests within the juvenile justice field include raising the age of juvenile jurisdiction to 18 for youthful misdemeanants, diminishing the school-to-prison pipeline, implementing restorative justice practices into the juvenile court system, and the avoidance of long-term confinement of youthful offenders in correctional facilities/solitary confinement. At Campbell Law, Katie is actively involved with the Juvenile Justice Project. JJP serves as a diversion program for first-time youthful offenders, and receives referrals from intake counselors and the local school system concerning juveniles accused of criminal activity or disruptive behavior. Based on the theory of restorative justice, JJP focuses on helping youthful offenders understand how their actions have impacted others as well as themselves. The program strives to bring victims and offenders together in an effort to foster collaborative healing, rather than specifically seeking punishment for the offender. In addition to JJP, Katie is also involved with the Child Permanency Appeals Project, Wake County Teen Court, Campbell Law Innocence Project, and Student Animal Legal Defense Fund. 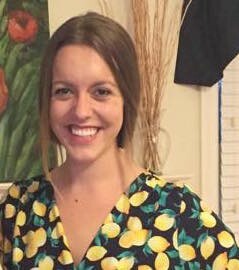 Prior to interning with the Office of the Juvenile Defender, Katie interned in the areas of family law, juvenile abuse/neglect/dependency, and adult criminal defense. Experience in these other areas of law broadened Katie’s knowledge pertaining to her specific interests within the juvenile system, as the fields are often intertwined. Katie is a passionate advocate for juvenile justice, and is excited to continue pursuing a career in the juvenile justice field! 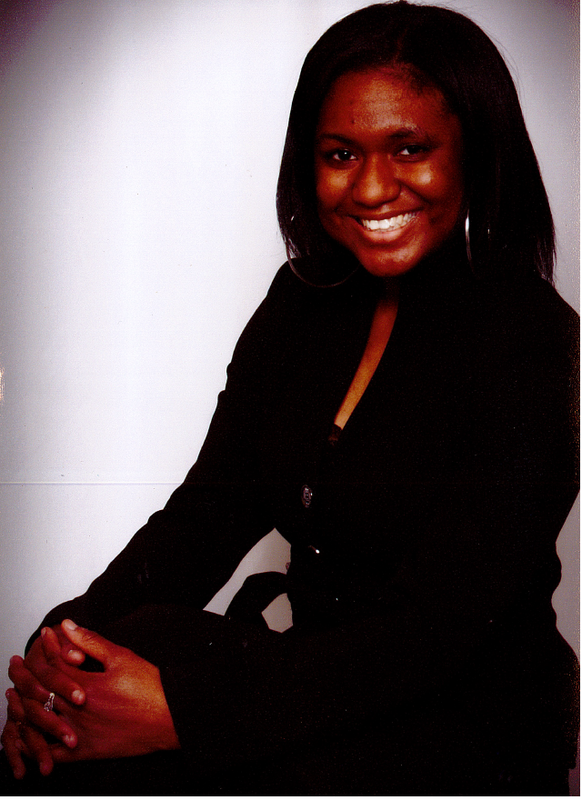 Erica Long-Ellis is currently a rising 3L at the North Carolina Central University School of Law. She is originally from Charlotte and before transferring to North Carolina Central University School of Law she attended the Charlotte School of Law. Erica received her Undergraduate Degree from Western Carolina University in Business Administration and Law. She has a passion for working with children, and currently serves as a Guardian ad Litem advocate for children in Wake County. Erica will soon be working with North Carolina Central University School of Law Professor Nelwyn Mpare to begin implementing a Program that will be included in the school’s Juvenile Clinic which will allow youth in the community to learn their rights when interacting with Law Enforcement. Once she graduates from law school she hopes to become a Juvenile Public Defender in either the Raleigh or Charlotte areas. A couple of weeks ago we had the privilege of attending the 2015 SJDC Regional Summit. It was an opportunity to come together with colleagues from across the Southern states and participate in a one-of-a-kind program designed to empower defenders to fight implicit bias in the juvenile court system. The keynote presentation was given by Geoff Ward, Professor of Criminology, University of California at Irvine. Professor Ward discussed his research into violence and race. One of his latest research projects that he discussed focused on the legacies and history of racial violence in the South. Another session that was offered focused on challenging identification testimony – including cross-racial identifications and best practices. As a reminder, NC passed an Eyewitness Identification Reform Act in 2007 that outlines the procedure that must take place. These procedures are outlined in §15A-284.52. In addition to several other sessions discussing addressing race in the court room and ethical considerations in raising race, there were also many opportunities to interact with other juvenile defenders. It was incredibly valuable to exchange ideas and strategies. Registration is now open for the 2015 Juvenile Defender Conference, to be held August 14, 2015 at the UNC School of Government. The Juvenile Defender Conference addresses topics of interest to attorneys who represent children in delinquency proceedings. This year’s conference will address racial disparity and the role of defense counsel. It will include sessions on applying the School of Governments’ Race Manual to delinquency cases and using pre adjudication advocacy to combat racial disparity. The conference will include an ethics session on implicit bias and the role of the juvenile defenders. A case law and legislative update session is included as well. The conference, cosponsored by the School of Government and the Office of Indigent Defense Services, offer six hours of CLE credit—including one hour of ethics/professional responsibility—and feature instructors from across the state. The link to register is www.sog.unc.edu/node/1238. From the “On the Civil Side Blog,” please read this important blog by Professor LaToya Powell. Professor Powell discusses what the current case law says about what counts as a prior adjudication for dispositional purposes, and briefly discusses the change that will occur after the enactment of a new law that will take effect on December 1, 2015 (which was just signed by Governor McCrory last week). Rule(s): (1) Notice of appeal must specifically designate each judgment or order from which appeal is taken. (2) Using incorrect criminal terminology from the bench does not invalidate an adjudication. The juvenile was charged with committing common law robbery. Adjudicatory and disposition hearings were held on July 3, 2014. On July 9, 2014 the trial court filed an adjudication order finding the juvenile delinquent and a Level 1 disposition order was entered on the same day. On July 14, 2014 the juvenile gave written notice of appeal from the adjudication order only. Rule 3(d) of the NC Rules of Appellate Procedure requires that the notice of appeal must specifically “designate the judgment or order from which appeal is taken.” In the present case, although the juvenile purported to appeal from the dispositional order as well, the Court determined that his arguments alleging error as to disposition were not properly before the Court. Consequently, the Court did not address the juvenile’s arguments regarding the trial court’s disposition order. In the juvenile’s arguments regarding the adjudication order, the juvenile asserted that the trial court erred by (1) denying him his right to be present at “judgment” and (2) making insufficient findings of fact to support its adjudication. Specifically, the juvenile contended that although he was in court for all of the adjudicatory portion of the hearing, the trial court denied him his right to be present at adjudication. The record indicates that at the close of the adjudication portion of the hearing, the trial court announced its adjudication of the juvenile as “guilty” and then immediately proceeded to disposition. The juvenile contended that the trial court “rendered an erroneous adjudication order” at the hearing by using inappropriate criminal terminology and that the written order of adjudication the court later filed represented a substantive change from the “criminal conviction” the court announced from the bench. The Court disagreed finding that while it was unfortunate that the district court failed to use the proper terms, the meaning of the court’s phrase “verdict of guilty” was utterly clear: the juvenile was responsible and adjudicated thusly. Further, the Court determined that the trial court did adjudicate the juvenile delinquent in the juvenile’s presence at the hearing by inquiring whether the parties were “ready to proceed to disposition,” which confirmed the juvenile’s adjudication. The Court also found that the written order did not represent a substantive change from the adjudication rendered at the hearing.